The following is a guest post by Channing Whitaker, author of Until the Sun Rises. Imagine the villain of your favorite story and ask yourself, what might have gone a little differently in their lives which could have led them to be the hero instead? This is something I ponder on whenever I create antagonists. I love a villain who might otherwise be downright likable if not for a few circumstances, and the incredibly complex web of “what if’” ideas such a character adds to a story. It makes a story linger in readers’ minds when others might fade away. It pulls our hearts in conflicted directions. For me, it is the gold standard I hold my work to, as well as the books I read. Authors have many influences who shape their style. None have been as profound for me as my father, a retired psychology professor who also practiced clinical therapy throughout his career. One lesson he taught has been particularly influential. He taught, in regards to practicing therapy, that even though one might have patients who have done socially despicable things, patients who most people in upstanding society would want to have no association with, as a therapist you need to find something likable about the person, something human to connect with them on if you hope to treat them with any effectiveness. In the simplest paraphrasing, his point was that you couldn’t help such a patient if you see them only for their faults and then sit in judgment of them. To many this is a challenging notion. For instance, imagine being tasked with treating a Nazi war criminal in therapy and having to find something likable about them. Easier said than done. To me, an adolescent student when faced with the idea, this was rather intriguing. Throughout my education critically analyzing literature was frequent. Almost always I’ve found the most engaging and compelling villains in fiction fit this idea, and stories bearing such villains stick with me the most. Yes, they’re bad guys but their motives are understandable, often not forgivable, but still understandable. Their lives are not so different from what one might expect of the protagonist in a story. I took this to heart for the stories I’ve gone on to create. For authors, antagonists run a huge risk of being one-dimensional characters, simply there in the story to provide the hurdles the protagonist must overcome. With such a character the emotional journey of their defeat then becomes equally shallow, the singular pleasure of evil defeated. But when the antagonist is complicated, the emotional resolution of pitting the villain against the hero becomes equally as complex. Imagine if the actions of a villain were not just something they chose to do, but something they felt they had to do, regardless of how self-serving it might be. Better yet, imagine a villain who would be a hero, if only the circumstances were slightly different. Then if a hero triumphs over the villain in the story’s conflict, it feels joyous yet a little sorrowful at the same time. This also makes characters all-the-more real. Real people are complicated. Real heroes do have flaws. Real bad guys probably have been kind at times in their lives, or do possess some redeeming qualities. When a story’s characters mirror this, their motives and actions are simply more believable. An antagonist might be a ruthless, futuristic, galactic, space dictator, with mechanical appendages and super natural powers. But when the loss of a cherished love one set him or her on the path to villainy, when their lack of compassion was born from a terrible experience where they felt no compassion was given to them. However fantastic the character might be, they can feel as real as any. The next time you sit down, either to create a story or to simply enjoy one, look for villains whose defeats are both triumphant for the hero and heartbreaking for the villain, for these are the stories that will live on both in hearts and minds. More about the author and his work: Channing Whitaker’s Website. Channing Whitaker is a novelist, screenwriter, and filmmaker originally hailing from Centerville, Iowa. An alum of Indian Hills Community College, Channing went on to study cinema, screenwriting, literature, and mathematics at the University of Iowa. 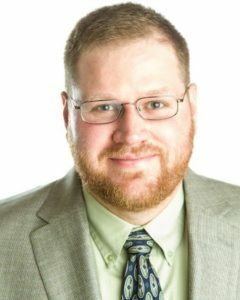 Post graduation, Channing began his career in the production of television news, independent films, and commercial videos, as well as to write for websites, corporate media, and advertising. His 10-year career in writing has taken Channing from Iowa, to Alaska, Oklahoma, and currently to Texas. Channing has written five feature-length screenplays, co-written another feature screenplay, and penned a novel. In that time, Channing has also written and directed over 50 short films. 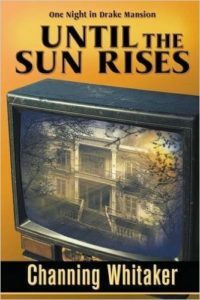 The April 2015 publication of Channing's debut novel, “Until the Sun Rises – One Night in Drake Mansion,” comes in tandem with the first production of one of Channing’s feature screenplays, “KILD TV” - a horror mystery. “KILD TV” has already filmed, and will premiere in March 2016.